The search continues for 25 year old Robert Murray who tragically lost his life to the River Corrib. 25 year old Robert Murray from Salthill tragically lost his life to the River Corrib a fortnight ago Tuesday the 8th of January. The Oranmore Maree Coastal Search Unit have announced the search will recommence tomorrow, Wednesday 23rd January at 11am from Galway Bay Sailing Club, Renville, Oranmore. As the search continues to bring him home the nation of Ireland have united in support for his loved ones and friends. A Facebook group had been set up when Robert went missing so the public could share any information regarding his whereabouts. The group now has over 5,000 members who all share messages of support and love to Robert’s family and friends. 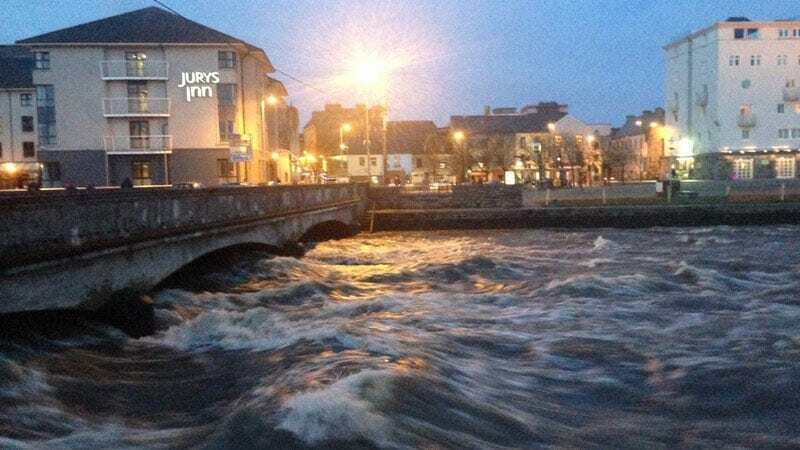 Over the weekend a petition was started by Sita O’ Driscoll to Galway City Council to improve safety measures along the Corrib River as it passes through the city. The river Corrib is one of the fastest flowing rivers in Europe and the petition has attracted over 18,600 signatures. Last night, Monday 21st January a powerful video was shared on Facebook by one of Robert Murray’s close friends crying out for safety measures to be implemented on the bridges near the River Corrib. Dave Sullivan, a close friend of Robert Murray shared the powerful video last night in the hopes that the council will now listen and act to prevent future accidents like this happening. The emotional and passionate video has already been viewed by 32.8k people and the powerful message within strikes a chord with each and everyone. Prevention is key. I intended to come at this with as much gravitas as possible. I apologise once again if people find what I say offensive or in any way wrong. I know in taking a step like this I have to expect that I wont please everyone but I feel it needs to be discussed weather you agree or disagree with how I feel. Its OK to express your opinion and my goal is that everyone does in their own way but I believe something needs to be said and I hope others can do also. This isn't about me, this is about a much bigger problem.I am also sorry if I come off as presumptuous at any point. I also realise that it may seem like I am ranting on, especially due to the duration.More than anything I hope people can please help with this brilliant petition and give it your backing as its truly a very deserving onehttps://www.change.org/p/galway-city-council-make-the-river-corrib-safer-lets-save-some-lives?recruiter=258818736&utm_source=share_petition&utm_medium=facebook&utm_campaign=share_petition&utm_term=share_petition&recruited_by_uuid=fcfd8860-ce35-11e4-ad5e-3dd6b0dff101&utm_content=fht-14196560-en-gb%3Av5&fbclid=IwAR19vVtRsd5UtE0o2OI2d1ut3XoqSzGrf1mIy2iPdTIs01WzParOv63wXZYGalway City Council please don't let the lives lost in the river be in vein. We need some sort of affirmative action to protect the future generation.Please dont be afraid to have your say. Thank you#GalwaysFutureN.B"Important note that has come to light: Please do not donate to change.org cause it will not go to the cause, it will only pay for them to advertise the petition within the change.org website."